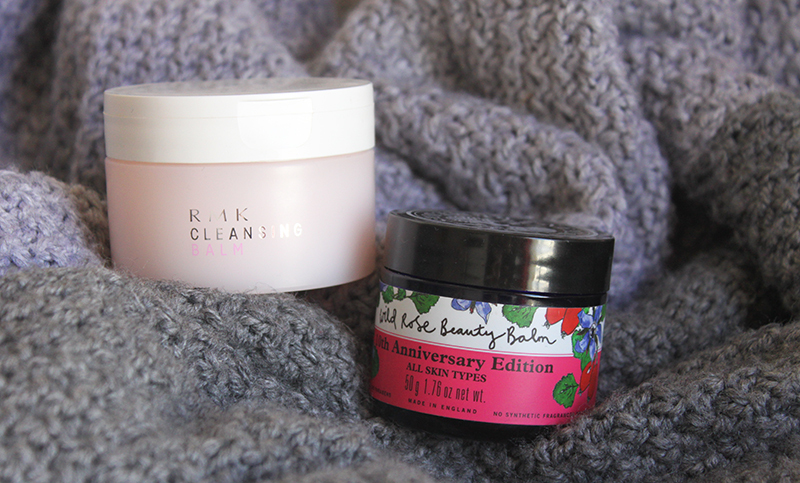 Over the last six weeks there have been two rose cleansers which I have been loyal to; the RMK Cleansing Balm and the Neal’s Yard Wild Rose Beauty Balm which have really helped improve my skin. Both smell of rose as rose oil is one of the main ingredients and are solid balms which are my favourite type of cleansers as they remove make efficiently as well as being great for facial massages. The RMK Cleaning Balm comes with a little spatular which is really well thought out as it stops you dipping your fingers in. However once you do have it on your hands the product turns almost instantly from a balm to an oil making it really easy to spread all over the skin and to use it to massage the face. Apparently this does have mineral oil which usually breaks me out instantly but I have actually had no problems but you should be a little wary if you are acne prone. 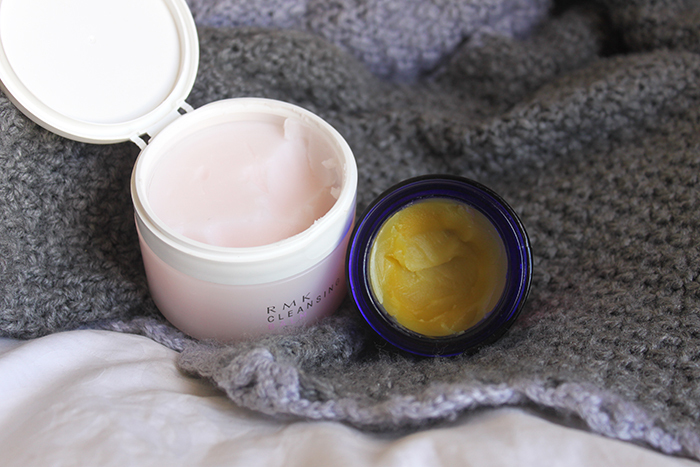 The Neal’s Yard Wild Rose Beauty Balm is probably my favourite of the two although it is a close call. It doesn’t turn to quite as much of an oil however it has a more natural scent and colour which draws me to it. The packaging is a little more luxurious as it’s a glass jar although I would also have loved a little spatular. This really helps rehydrate my skin and I would even say it helps with congestion, it’s the perfect winter night time cleanser for any skin type.